The women of Kappa Gamma Omega (KGO) Chapter of Alpha Kappa Alpha (AKA) Sorority, Inc. uphold the high ideals of “service to all mankind” in the Monterey County community. 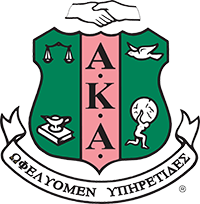 Nationally, Alpha Kappa Alpha Sorority is in its second century of commitment to “service to all mankind” through programs addressing health, environment sustainability, social justice, human rights, poverty and economic security. For nearly 40 years, Kappa Gamma Omega Chapter has sponsored many programs and events dedicated to advancing public knowledge and interest in education, health, entrepreneurship, music, art and theater. We are an organization that depends on annual charitable contributions from businesses, foundations and individuals to help support these outreach programs and expand on these services. If you are able to support us, you may make a donation via PayPal (AKA.Montereybay@gmail.com). Be sure to indicate which project you are supporting, if there is a preference. With funding cuts in every sector of government and charitable/corporate giving, the services provided by KGO are in greater demand than ever before. Help us to collaborate with others to meet the needs of our children and families. If you would like more information on how you can help KGO meet its goals, please contact Valerie Golden at (831) 521-4501 or vjgolden@aol.com.